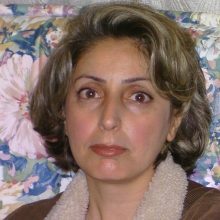 The Case of Baha’i Prisoner, Rozita Vasseghi: Learn More & Take Action! (United4Iran – 7-Sep-2010) Over the last week, friends and family of various prisoners in Iran have emailed requesting that we highlight the specific cases and current conditions of their loved ones. Wherever possible, U4I will provide a platform for the families and friends of prisoners to express their concerns, demands, and pleas. 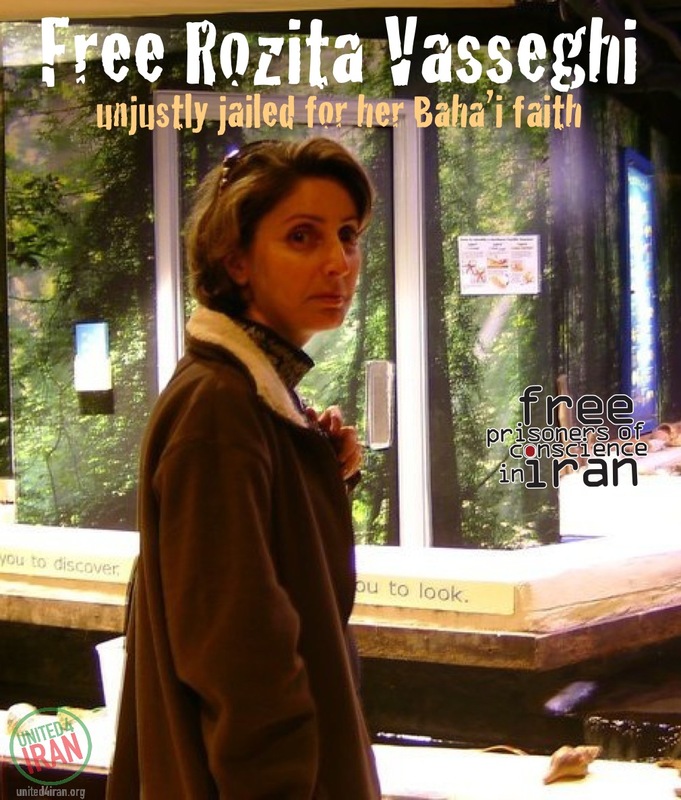 The first of the e-mails received was regarding Rozita Vasseghi, a Baha’i prisoner detained in a Mashhad prison who is, according to her sister, in poor health. Read below to learn more about Rozita’s case status and take action on her behalf. 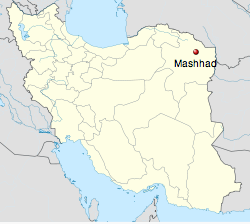 Mashhad (Persian: مشهد, ‹Mašhad›, literally the place of martyrdom) is the second largest city in Iran and one of the holiest cities in the Shia Muslim world. Rozita’s seventy-year-old mother, who has witnessed the ongoing persecution of her family, bailed out her daughter by leveraging their home. Rozita was released from prison, and while awaiting her court hearing, endured several home invasions and episodes of property confiscation. 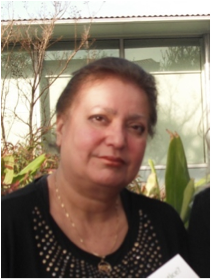 Rozita was summoned, with several other members of the Baha’i community, in January 2010 to hear the court’s decision on their fates. Rozita received a 5 year prison term and banned from leaving Iran for 10 years. Despite an appeal, she was taken into custody again in March 2010. 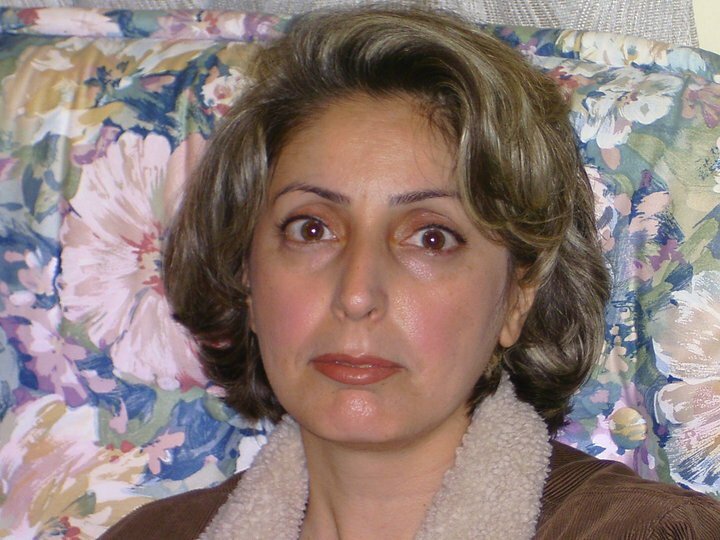 Detained in solitary confinement, her health is said to be deteriorating rapidly. Suddenly on March 15th 2010, at about 7:00 in the morning, the authorities went to my mother’s house again, confiscated many of Rozita’s belongings and took her into custody. Even though my mother had just had an operation, she went to many places searching for her daughter, asking why she had been arrested. 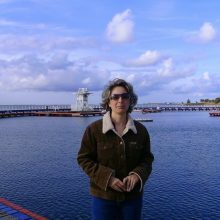 It was not until almost two months later, on May 9th 2010, that she was given any information about her daughter and allowed to visit her for ten minutes. Almost five months ago my mother told me that the appeal by my sister and four of her friends to reduce their initial sentences was not successful. Rozita and one of her friends had been incarcerated since March this year, notwithstanding that their cases were still under appeal. Rozita has been detained, in solitary confinement in a Ministry of Intelligence detention center in Mashhad even though her name is listed in the normal prison system. Her health is seriously deteriorating. She has lost too much weight, has low blood pressure and she is suffering pain in her body, especially in her feet. When the authorities don’t allow Baha’i people to have normal lives like other people, raid the homes of innocent Baha’is, searching their houses, taking personal property, taking members of the family away to prison, what can we call the way they act? When children of Baha’i families are harassed by their teachers, or their classmates, or the parents of the other students, and young people and adults are prevented from going to university, what can we call this behaviour? When the authorities are monitoring Baha’i people’s bank accounts, their phone calls and letters, and where they are going and coming, what can we call their attitudes? 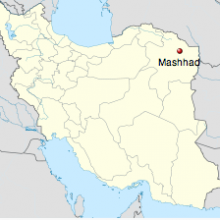 When the authorities confiscate people’s property, destroy their cemeteries and close Baha’i people’s businesses, what can we call the way those people act? When the authorities don’t allow Baha’i people to practice their own religion and when they destroy their holy places, what can we call those behaviours? At this time there are many Baha’is in prison in different cities of Iran. 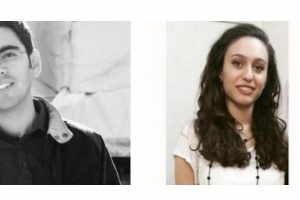 The seven individuals who formed the national leadership of the Baha’i community, known as the Friends in Iran, after two years in prison have recently finished their trial and we have just heard they have been sentenced to 20 years imprisonment and already they have been moved from Evin prison to another prison where conditions are known to be very severe. There was no evidence against them whatsoever. The purpose of the Baha’i Faith is to unite all the races and peoples in the world. The Baha’i Faith is about world peace, the oneness of humanity, the equality of women and men, education for all, the elimination of prejudice … and it can’t have any involvement with partisan political issues. 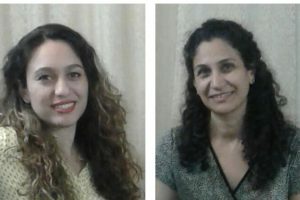 These individuals and the others Baha’i prisoners I have mentioned have no involvement in politics and their imprisonment is based entirely on the fact that they are Baha’is. 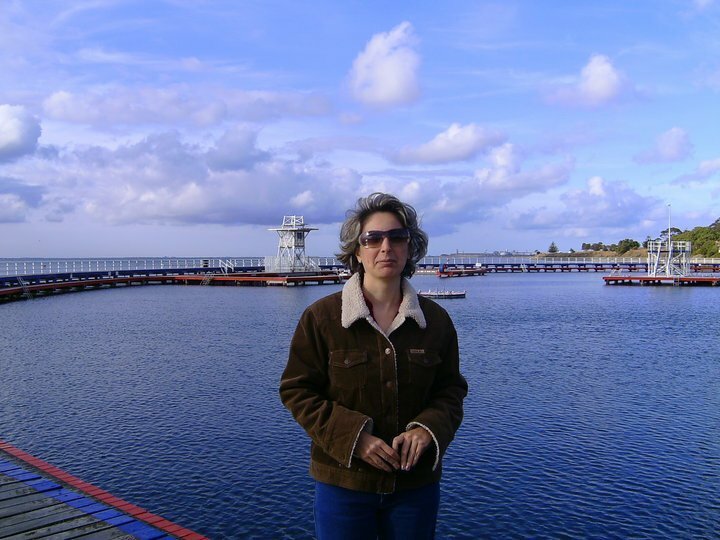 As I have been imprisoned by Iranian authorities and have first-hand experience of the capabilities of these people and prison conditions, I am desperately concerned for the welfare of the Baha’is who are now in prison in Iran, including my sister. I seek your urgent assistance to expose to the world what is happening in Iran by raising the matter in Parliament, in the media, in your organizations, expressing concern to the Iranian Ambassador in your country, or speaking out publicly and asking the government of Iran to repeal the prison sentence of all those who have been falsely imprisoned, including my sister, and to allow them to be free. 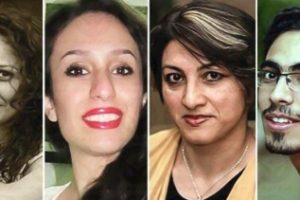 To highlight Rozita Vasseghi’s case, we encourage everyone to share her story with your social networks, download a profile badge to show support for her and her family — and most importantly — send an e-letter to various IRI and world officials urging Rozita’s release. Posted in Mashhad, Press Coverage, prison, Public Support, women. Each time i read the news about the imprisonment and persecution of the Bahais in Iran, my heart bleed blood. I ask myself, Is this how the early Muslems were treated? Does these actions of the Iranian leaders manifest what is written down in the Holy Koran of Prophet Mohammad? Is this practice the Golden Rule of Islam? Ofcourse, not. In the Holy Koran, the Golden Rule say, “No one is a believer until he desires for his brother that which he desires for himself.” Do these leaders in the Islamic Republic of Iran desire the same actions they inflict on the Baha’is to themselves? I don’t think they would desire to go through this kind of pain. Believe me or not, these cruel acts on the Baha’is will soon come to an end. Time will come when the Baha’is will freely participate in the development of Iran without restriction. Time will come when the Bahais will be employed in government jobs without descrimination, their children will be admitted to schools without religious prejudices. Here is the link to ParsTV’s recent satelite broadcast into Iran about your religion. I thought your visitors may like to see it and forward it via email to their families. This is the stuff that makes Ayas lose sleep at night.